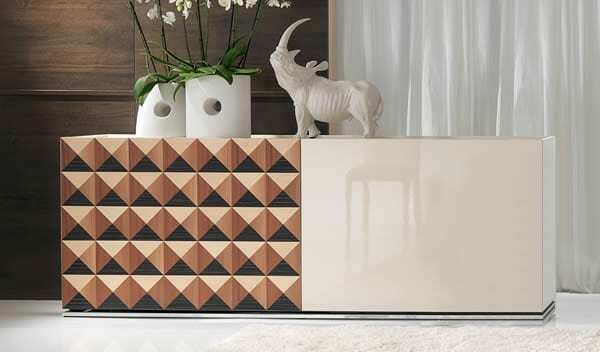 If you’re looking for a truly unique cupboard, get the Artex cupboard from Besana. It comes in a variety of compositions to fit the needs and tastes of modern homeowners. Available as two small cupboards with a similar appearance or as one large cupboard with different patterns on the facade. The two small cupboards come with stands which can be used as storage space for basic items. 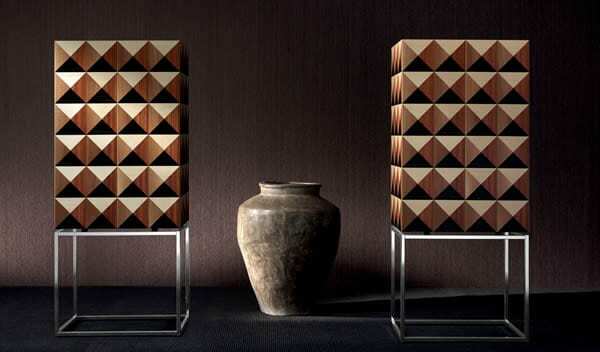 The large piece has a symmetrical pattern on one half of its front section and the other half is lacquered. The adaptability of the Artex cupboard from Besana cannot be overstated. It can be used to store pantry items off the kitchen, store china in the dining room, or even store linens outside your bedroom or bathroom. The buffet has a wooden structure which gives it lasting style. 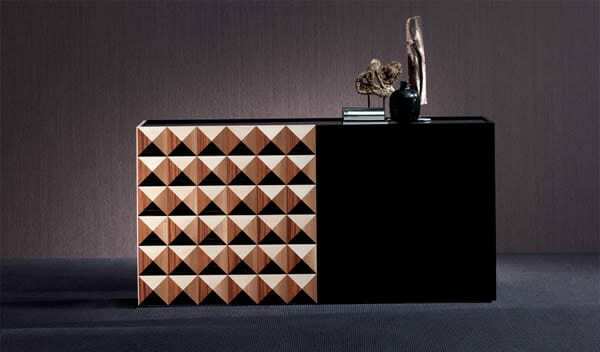 Built by expert furniture artisans and boasts a high standard of superiority that is unparalleled. It is made using the finest materials and is both long lasting and stylish. You can place the cupboard against the wall if you have limited space or leave it as a free-standing unit if you have ample space. There is no better place to store your essential kitchen items than in the Artex. It offers fresh simplicity and enduring style and will impress everyone who walks into your home. Once you get this piece, you will be renowned for your amazing dinner parties. What place have you been eyeing in your home for the Artex cupboard?